From Cuba, Dafnis Prieto’s revolutionary drumming techniques and compositions had a powerful impact on the Latin and Jazz music scene, nationally and internationally. Various awards include “2011 MacArthur Fellowship Award”, “Up & Coming Musician of the Year” by the Jazz Journalists Association in 2006, a Grammy Award Nomination for ”Absolute Quintet” as Best Latin Jazz Album, and a Latin Grammy Nomination for “Best New Artist” in 2007. Also a gifted educator, Prieto has conducted numerous master classes, clinics, and workshops throughout the world. Dafnis was a faculty member of Jazz studies at NYU from 2005 to 2014, and in 2015 became a faculty member of Frost School of Music at UM (University of Miami). Since his arrival to New York in 1999, Dafnis has worked in bands led by Henry Threadgill, Steve Coleman, Eddie Palmieri, Chico and Arturo O’Farrill, Dave Samuels & The Caribbean Jazz Project, Jane Bunnett, D.D. Jackson, Edward Simon, Michel Camilo, Chucho Valdez, Bebo Valdez, Roy Hargrove, Don Byron and Andrew Hill, among others. He has performed at many national and international music festivals as a sideman and as a bandleader including several of his own projects and music. As a composer, he has created music for dance, film, chamber ensembles, and most notably for his own bands, ranging from duets to his “Small Big Band” and including the distinctively different groups featured by six acclaimed recordings as a leader: About The Monks, Absolute Quintet, Taking The Soul For a Walk, Si o Si Quartet-Live at Jazz Standard, Dafnis Prieto Proverb Trio, and Triangles and Circles. He has received new works commissions, grants, and fellowships from Chamber Music America, Jazz at Lincoln Center, East Carolina University, and Meet the Composer. 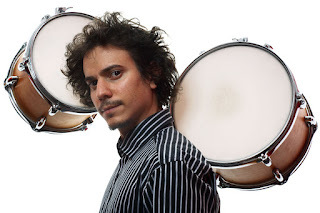 Dafnis Prieto is the founder of the independent music company Dafnison Music. Dafnis Prieto endorses: Yamaha Drums, Sabian Cymbals, Latin Percussion, Evans Drumheads, and Vic Firth Sticks. 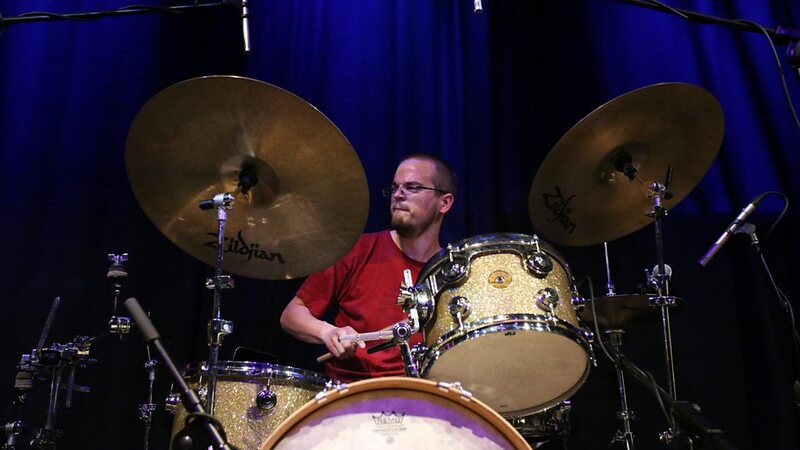 Johnny Hunter is a northern UK-based drummer who comes from a background of both the Avant-Garde and the more mainstream Jazz. He has performed or recorded with such esteemed musicians as Benn Clatworthy, Mick Beck, Nat Birchall, Jamil Sheriff, Jamie Taylor, Pete Fairclough, Walt Shaw, Corey Mwamba, Steve Beresford, Graham Clark, Adam Fairhall and Steve Berry to name a few. He is also heavily involved in the Reggae and Dub scene. He is currently playing with Misha Gray’s Prehistoric Jazz Quintet, Liverpool-based group playing heavy modal Jazz inspired by John Coltrane, Pharoah Sanders and the like; Nat Birchall; Engine Room Favourites, AACM inspired Free Jazz; the Blind Monk Trio, sax/bass/drums trio playing heavy rootjazz; the Dub Jazz Soundsystem, a mash-up of heavy Dub and psychedelic modal Jazz; Skamel, a Ska/Jazz/Dub ensemble inspired by the French Reggae group Raspigaous; his own “chordless” quartet set up to explore the freedom and limitations of having no chordal instrument; among several other projects. He also runs the Jazz jam night at Matt & Phred’s Jazz Club.